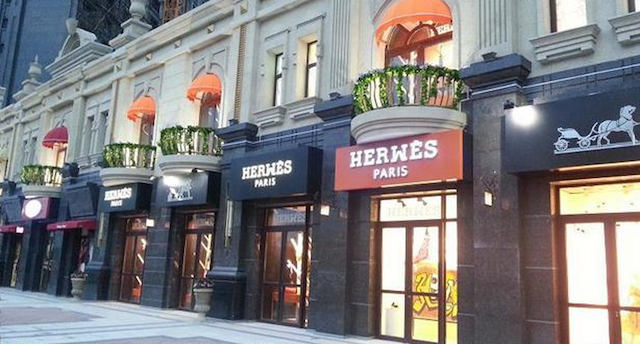 From “The Appla Store” to “Sffcccks Coffee”, the southern Chinese city of Wuxi has seen a “street of fakes” sprout up that flaunts modified name of famous international stores. On this commercial street, located near the Wuxi East Railway Station, clothing stores Zara and H&M have morphed into “Zare” and “H&N,” American electronics company Apple is “Appla,” Starbucks Coffee has become the bizarre sounding “Sffcccks Coffee” and even the Industrial and Commercial Bank of China has made an appearance – only with one of the characters of its Chinese name removed and replaced with another, rendering the name nonsensical. Despite this warning, copyright infringement is common in the mainland, and local stores and products have frequently copied the logos or fonts of international brands for recognition purposes. Photos of Chinese stores such as “KLG” (a chicken restaurant similar to international fast-food chain KFC) and “Sunbucks Coffee” (a coffee shop resembling Starbucks) have been virally shared on the internet for years.